Best Monthly Sales Ever + Highest Number of Active Members! 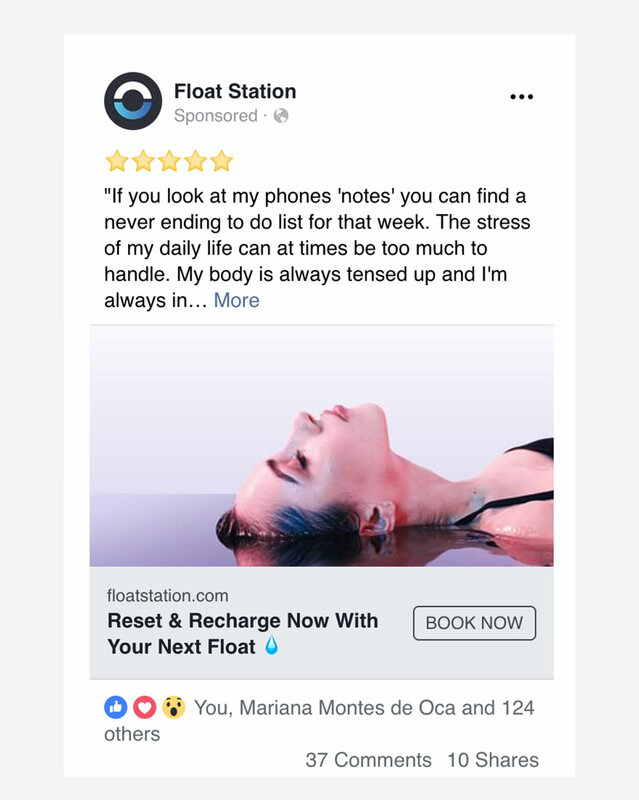 Float Station joined as a partner after we launched their first location with great success, allowing us to dive deeper and build off our original foundation. 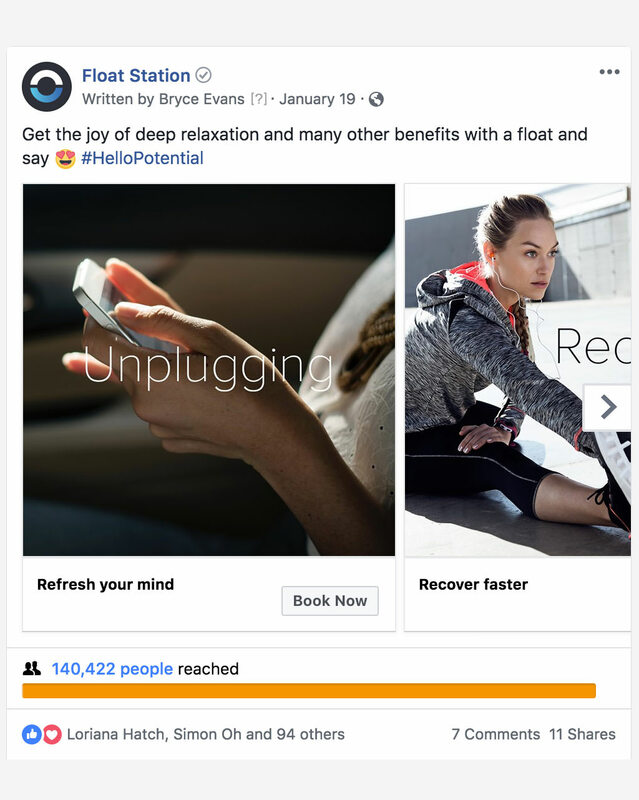 We worked to create new content on their blog, set up and improve systems for marketing automation, creating social media content and helping to grow their communities online, among other things. Finally, we found a boutique videography agency to produce a premium short film titled, “Let the Evolution of You Begin” showing the powerful benefits of a consistent floating practice. 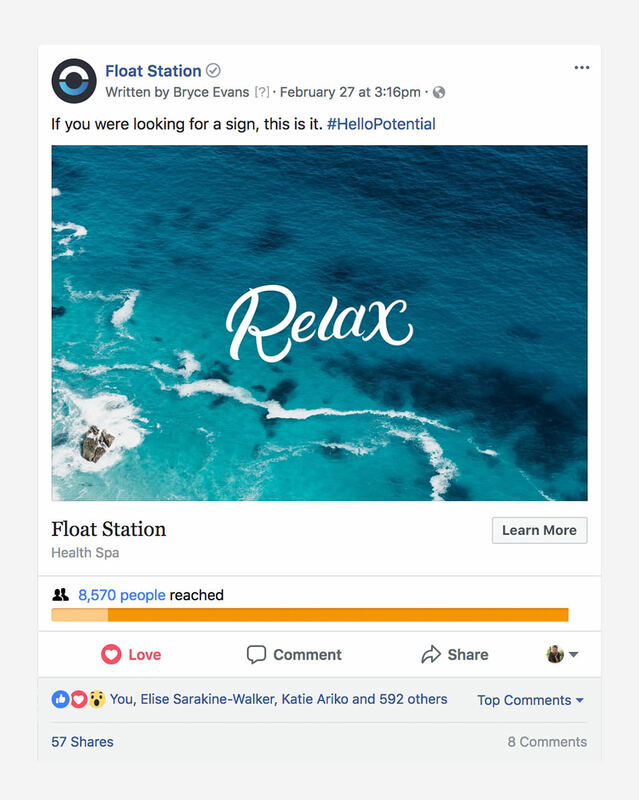 Our professional Facebook ads and additional efforts using the Business Hours leveraged the powerful testimonials and premium experience that Float Station provides to win over new members, retain existing ones, and grow their business without any additional discounted rates. 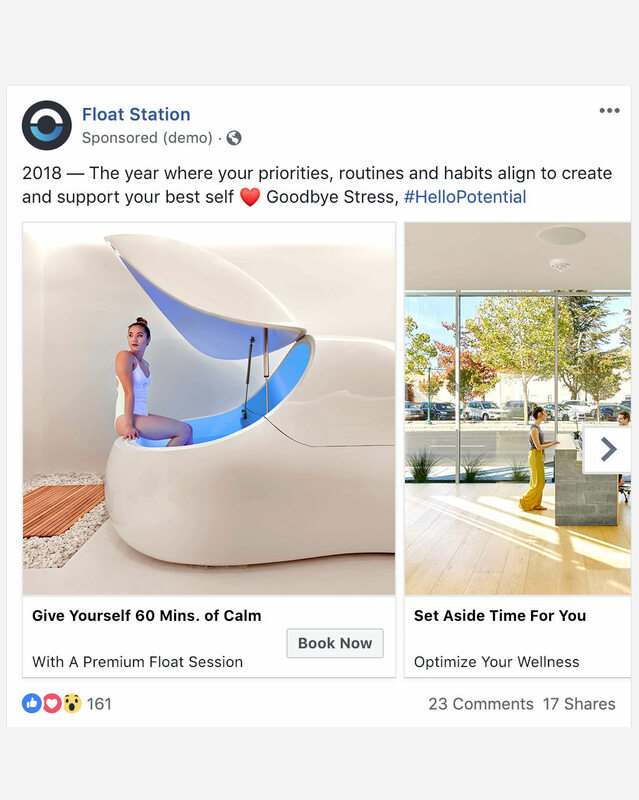 Float Station is now in the process of opening their second location. We increased Float Station’s active members by 28% compared to their previous year.